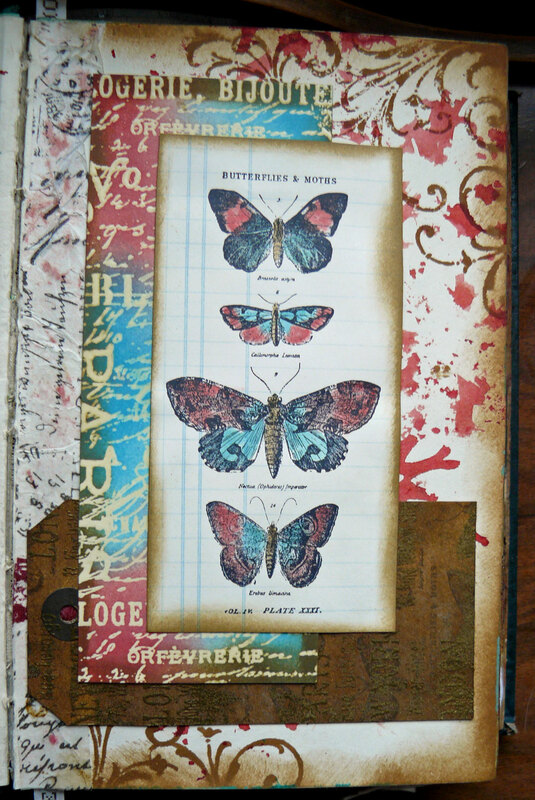 Another journal page, made as per the plan from leftover scraps. These are the rejects from a recent Craft Stamper project (decided against the colour scheme) so I've just stuck them in the book. It's not turning out to be a journal really, just a collection of randomness! I never was one for introspection so I doubt you'll ever see writing on these pages. This page is MUCH more 'me' in style. Happy belated birthday Katy and its a smashing card. Love your piece in the top photo! Just stunning! Sue did a lovely job with the card love the colouring. 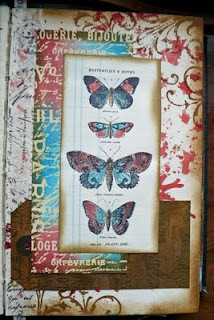 Gorgeous butterfly page - I love, love, love the CS project, and I love this color scheme, too! Both so beautiful. And of course, love the Nanny stamps - that background is a great idea.